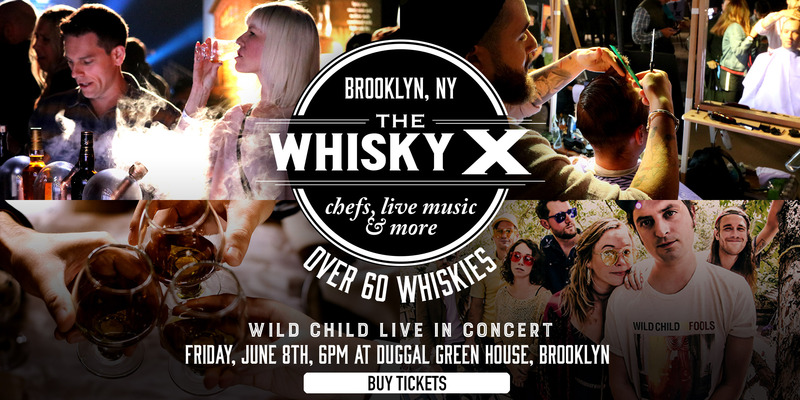 WhiskyX Brooklyn will feature Austin-bred Wild Child. Their infectious blend of indie-pop with irresistible melodies earned them their stripes in their hometown, being named the Best Folk Band and Best Indie Band at SXSW, as well as building an international fan base. Their newest album dropped in February 2018 and has received high praise from critics and is stirring up major buzz. You’ll discover and taste some of the world’s most notable whiskies including New York’s finest. Tastings, including some cocktails, are led by expert brand ambassadors and distillery representatives. The WhiskyX has partnered with some of Brooklyn’s favorite chefs, to bring you a next-level culinary experience that is just as impressive as our selection of whiskies. Complimentary culinary samples from each chef available for VIP Ticket Holders. The WhiskyX will feature some of Brooklyn’s best food trucks, with food available for purchase throughout the evening. Confirmed food trucks will be announced soon. Taste some whisky-inspired treats. Be pampered and get a haircut with men’s barber club Blind Barber. Discover Q Drinks, our craft mixer partner who makes mixers as great as our whiskies. Visit The WhiskyX Cigar Lounge to learn about pairing whisky with featured cigars. Learn more about how you can get a safe ride to and from The WhiskyX with our special discount, and anywhere around Brooklyn anytime, with Lyft. Located in the Brooklyn Navy Yard, the Duggal Greenhouse is an exceptional choice for private functions, live events, fashion shows, product launch, movie and commercial production and rehearsal space. Guests may arrive by ground transportation or yacht and dock steps from the Duggal Greenhouse and its private waterfront patio. The Greenhouse is a laboratory in new technology, utilizing solar energy, organic air purification and eco friendly building practices.